Each Pirate class has its own set of companions that can become part of your crew. You can also buy companions from the crown shop, or in bundle packs. 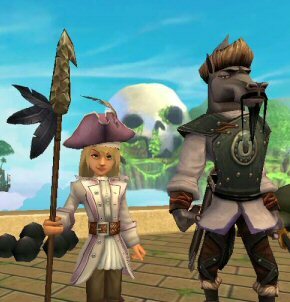 You can also acquire special companions through Pirate101 promotions. Some of these special companions are offered one time and if you don’t pick one up, you may never have a chance to acquire them again. But not to fret, you’ll probably like some of the new companions offered in the future. Check out our Epic Promotion guides for Pirate101 Companions too. Here’s a list of the currently known companions (to the best of my ability anyway). Where you can find them and which quests they’re related to. Each Pirate Class will have their own set of companions that provide your Captain with a well round crew. Just like your First Mate is different, so are most of your crew members. Some quests however, will give you the same campions. For instance, the quest “Troggy Trouble” gives everyone Bonnie Anne. But the quest “Bad Company“, will give each class a different new companion. You can learn more about any of the Companions talents and powers on Pirate Central’s Companion Listing. Thunder Hoof (Bison Champion) – Reward from To the Rescue! Random Named Swashbuckler (Eagle Hoplite) – Reward from Hungry Hungry Gladiators, Arena Training, It’s A Trap!, Kitty! Hawkules (Mighty Hero) – Reward from Here We Go Again..
Ridolfo Capoferro (Unicorn Duelist) – Reward from The Resistance Lives On! Bison Scout – Reward from To the Rescue! Bison Shaman – Reward from To the Rescue! Tonka (Bison Champion) – Reward from True Love Triumphs? Eric Jolly (Chicken Pugilist) – Reward from Stomp that Foote! Mustang Toreador (Toreador Novillero) – Reward from Curses! Samocles (Eagle Gladiator) – Reward from Hungry Hungry Gladiators, Arena Training, It’s A Trap!, Kitty! Ghost Singer (Bison Spirit) – Reward from To the Rescue! Scorpius (Scorpion) – Reward from Save Those Jolly Ranchers! Every Pirate meets an Old Family Friend who served with your Parents before you were born. This Crew member becomes a member of your crew with the Frog Father’s blessing. Which companion you receive, depends on how you were captured at the beginning of the game. Like most MMORPG games, Pirate101 offers Booster Packs which can include items not found anywhere else in the Skyway. These Packs offer your Pirate a chance to “win” one of the exclusive Pack Companions. One of the most sought after, are from the Ashes of the Armada Pack, including the Haywire Dragoon! Along with Pack Companions, the Royals at KingsIsle will offer Promotional Companions, from time to time. Once the promotion is over, so is the chance to acquire the companion. This is a list of the examples of Promotional Companions. This is not a complete list. 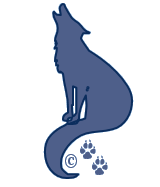 © 2013-2018 A Pirates Portal; Springwolf, D.D., Ph.D. All Rights Reserved. are you sure that buccaneers only get the mustang gaucho before you have to wait a long time? No. Not sure. That was the general consensus when that post was written. How do you get ju hao? What do you have to do to recieve the quest from the giver? Captain Garrett is in Mooshu; but he hasn’t acquired that quest yet. You can find him on Pirate101 Wiki on Pirate101Central. Please update this list. I know that there is a few more companions that you are able to get after Mooshu. Example is Grace Conrad. there has been an update where marleybone and aquila have been added please tell us the companions u get from them. what about companions for polaris? Dude I thought there was a cat swashbuckler in cool ranch.I remember hesitating to pay my crowns for her.she was a white cat with yellow on her.And no,Not shiruki neko. There are only 3 cat companions that I know of. I’m pretty sure that’s it. Are you sure it’s a cat and not a Mouse swashbuckler? why is lago considered in port regal, isnt port regal in skull island? Probably because of when he appears in the Skull Island story line. Port Regal isn’t accessible during the first chapter of Skull Island. So while the area is still part of the Skull Island world, you can’t get there until you’ve completed your quests in Cool Ranch. I think it’s just a timeline thing.